Blogging Friends Blog Hop – It’s Holiday Time! Wow – can you believe it’s already December 1st, and the Blogging Friends are celebrating all things holidays! However you celebrate, I hope that it’s a good season for you. If this is your first ‘hop’ with us, it’s very easy for you to see all of the fabulous projects created by the participants. We each have our blog linked to the blog next in line; you can just click the button at the bottom of the post to carry on to the next blog. 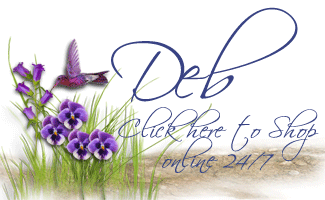 If you run into any trouble, or would like to check out the blogs later, you can use the list of links at the bottom of the post. You should have arrived here by way of Danica Ferrante‘s blog – weren’t her projects just wonderful! This is an easel card, that has a special feature – using the fire die-cut, I cut out an aperture so that the fire will ‘glow’ when lit! Isn’t that great?! 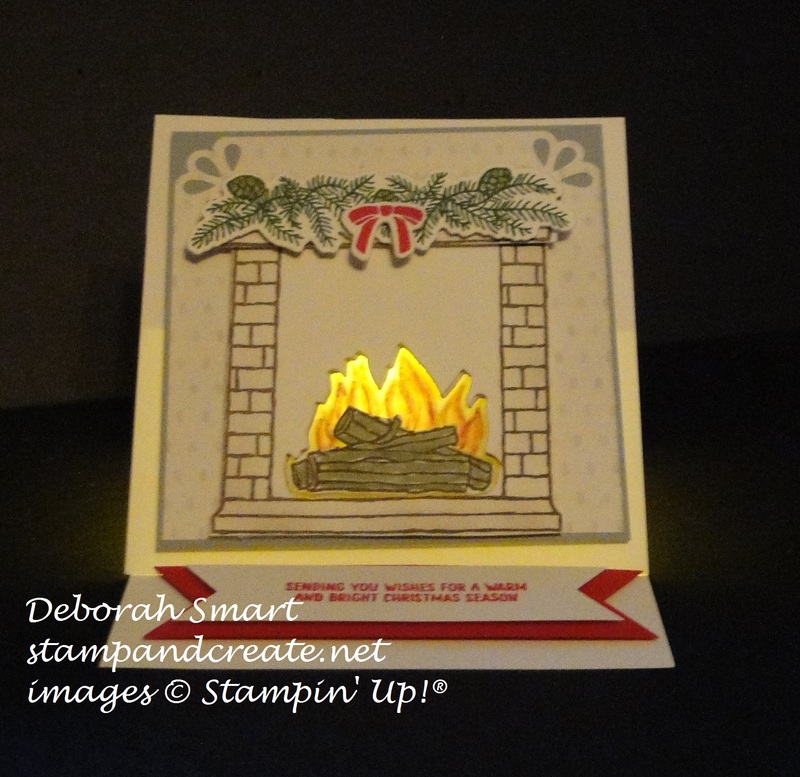 After creating the easel base, I stamped all of the ‘pieces’ – the fireplace, fire, mantel and garland – onto Very Vanilla cardstock, and used the matching Festive Fireplace Framelits to die cut them. 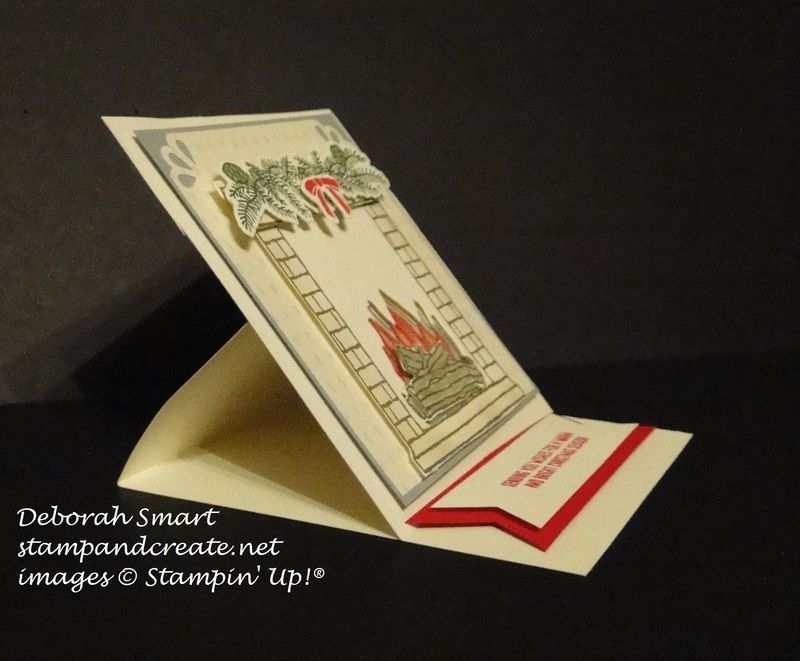 I stamped the fire twice; once onto the Very Vanilla cardstock, where I cut out & kept just the logs; the second time was stamped onto Vellum cardstock, where I coloured in the flames on the back of the stamped image (this helps to prevent accidental smudging, as well as making the colouring look more realistic). I die cut the fire aperture into the fireplace plus the layers of Timeless Elegance DSP and Smoky Slate cardstock. 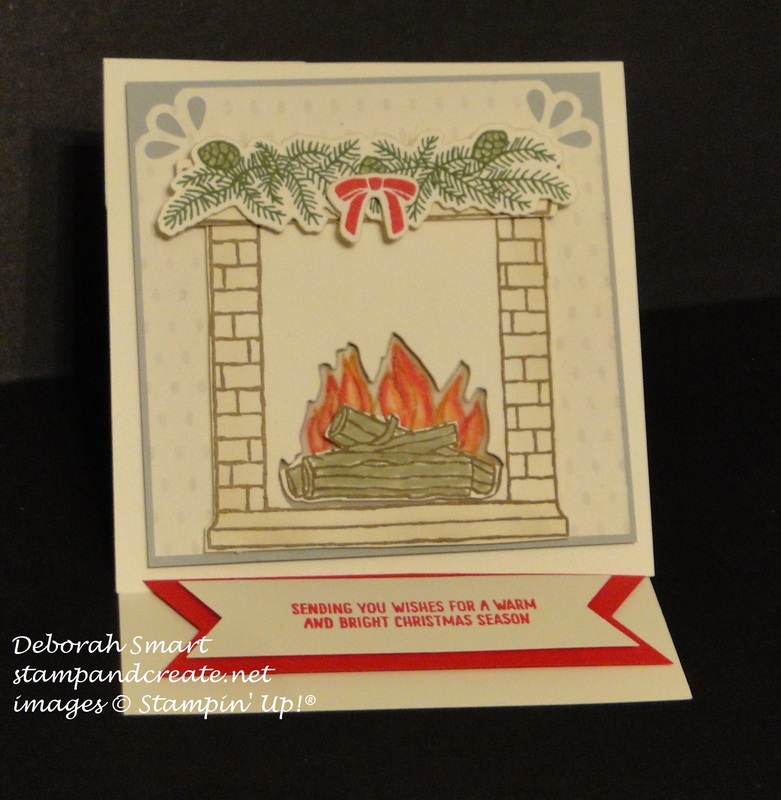 I then layered all the pieces of the fireplace together, and added the sentiment – stamped in Real Red ink onto Very Vanilla cardstock, and layered with Real Red cardstock – about 1/2″ from the front, to help the easel portion stand up by itself. I think this is a special ‘hand delivery’ card, because you have to give the recipient a battery operated tea-light, too! Its worth the effort, though, don’t you think? I had seen this idea on Pinterest, and changed it up to make it my own. Using the Bow Builder Punch, I used Gold Foil paper to punch the head, halo, bow and body, and punched the wings from Winter Wonderland Designer Vellum. I put the pieces together using Glue Dots. 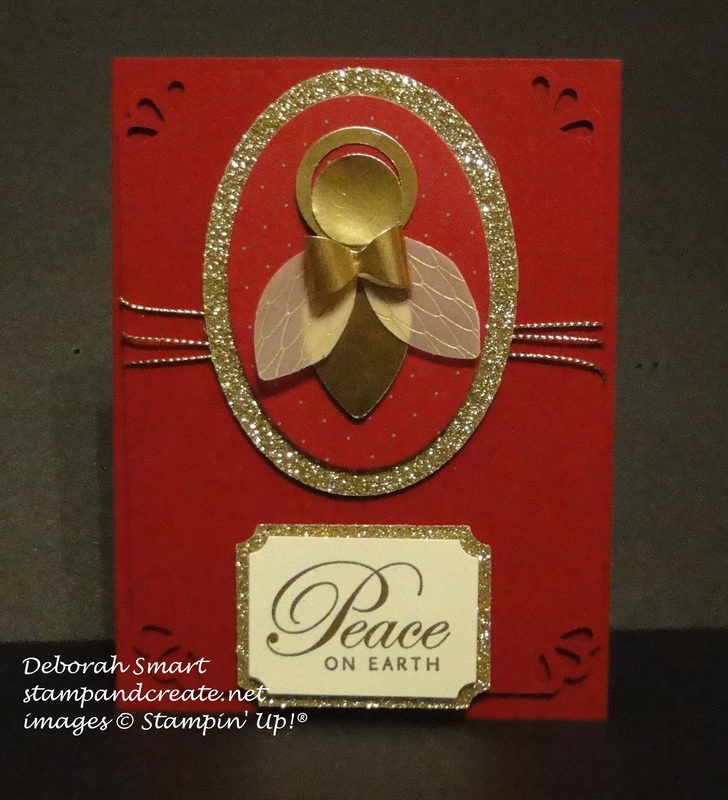 I then used Stampin’ Dimensionals to attach the angel to a piece of Merry Moments DSP, then Gold Glimmer Paper, both die cut using the Ovals Framelits. The sentiment is from a retired set, but I thought it was just perfect to use with the angel. I stamped in Versamark and heat embossed with Gold Embossing Powder on Very Vanilla cardstock, and used the Tags & Labels Framelits to die cut it and a layer of Gold Glimmer paper to layer underneath. I cut a piece of Cherry Cobbler cardstock, and punched each corner with the Curvy Corner Trio Punch (it was worth the wait while it was on backorder!). Before attaching the stamped pieces, I wound some of the Gold Cording Trim around the middle, then layered it all together onto a card base of Cherry Cobbler. I think it’s a very elegant looking card; it didn’t take much time to put together, even with the punched pieces. My last project was a lot of fun to make – does it look like a Gingerbread House? ‘Cause that’s what I was going for! This Baker’s Box Thinlits Die set is so versatile, and such fun to play with 🙂 This is another one of those projects that I had in mind; then I saw a version of it on our demonstrators-only website, made a few changes to make it my own and here it is! I started with the basic box in Soft Suede cardstock, then used the main shape (the part with the ‘handle) and cut 2 pieces for the roof from Whisper White cardstock. I ran the roof through the Big Shot with the retired Fancy Fan embossing folder, to get that ‘icing’ look. I die cut the door and it’s window using the label included in the Baker’s Box Thinlits set. The windows (there’s one on each side) are made using the smallest Squares Framelit, and I hand cut (yeah, I know – you can tell!) small squares of Whisper White for the glass parts. 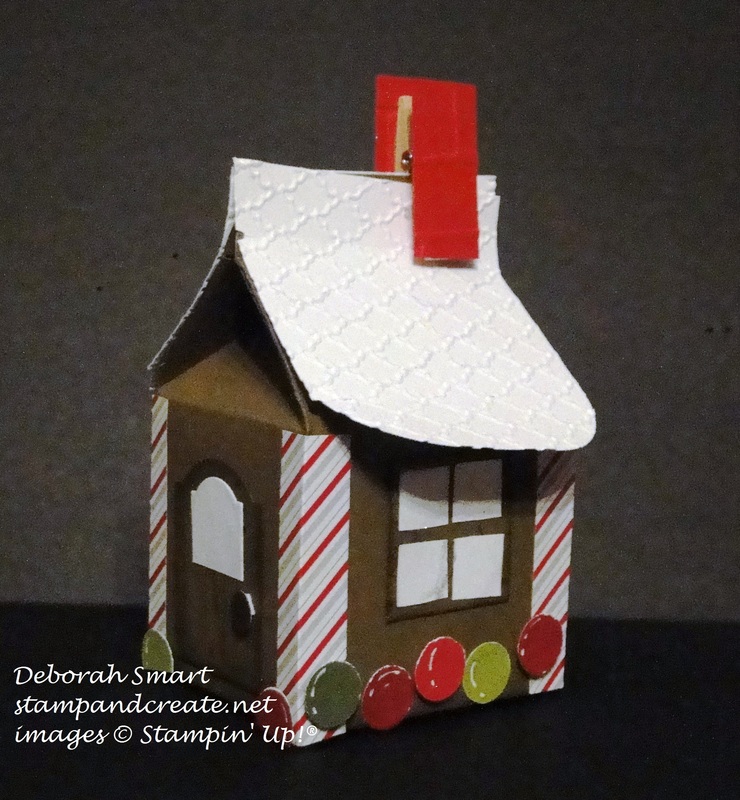 To decorate my gingerbread house I used some of the striped paper from the Home For Christmas DSP, and from the Merry Moments DSP I used the 1/2″ Circle Punch to punch out the coloured circles. I used my White Signo Gel Pen to add the highlights to the circles, then used a Wink of Stella clear glitter pen to add some sparkle/frost to the windows, roof and the coloured circles. Hopefully you’ll be back to visit me before Christmas, but if not – I wish you the very best of the holiday season! Now you can click on the link below, and check out the great projects that Jessica Mink has ready for you! Great projects Deborah! I LOVE the gingerbread house! Super cute! The Fireside card is great and cutting out just the fire for the candle…brilliant! The gingerbread house, way cute! Really creative projects. The fire in the fire place is really cleaver. I am partial to gingerbread houses and just adore this idea and the “brick” clothes pin is inspired! So many beautiful projects! So creative! Lovely job! Wonderful projects this month! Not sure which os my favorite! Love love the little gingerbread house. I think that has to be my favorite..super cute…love it! Yeah, the decorating is a bit fiddly, just like a real gingerbread house, but it’s worth it! Thanks for your kind comment, Jessica!